Lara Croft was never going to be contained to just one game or one film, so there was no way that one slot game would be able to do her justice either. This game, more commonly referred to as Tomb Raider 2, enhances the playing style of the original game, adding some more features while retaining the graphics that gamers all over the world readily associate with Lara Croft and Tomb Raider. This game represents a step on from the original as it has five reels and a total of 30 pay lines. The standard jackpot stands at 7,500 coins but it is the additional range of features that go a long way to making this Tomb Raider game a solid progression from the first Lara Croft slots game. The gaming world was thrown a curve ball when Eidos developed and released Tomb Raider. 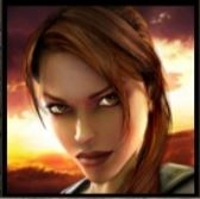 There was a need for a positive female role model in gaming and the fact that the Tomb Raider range of games were of such a high standard made them a popular choice. 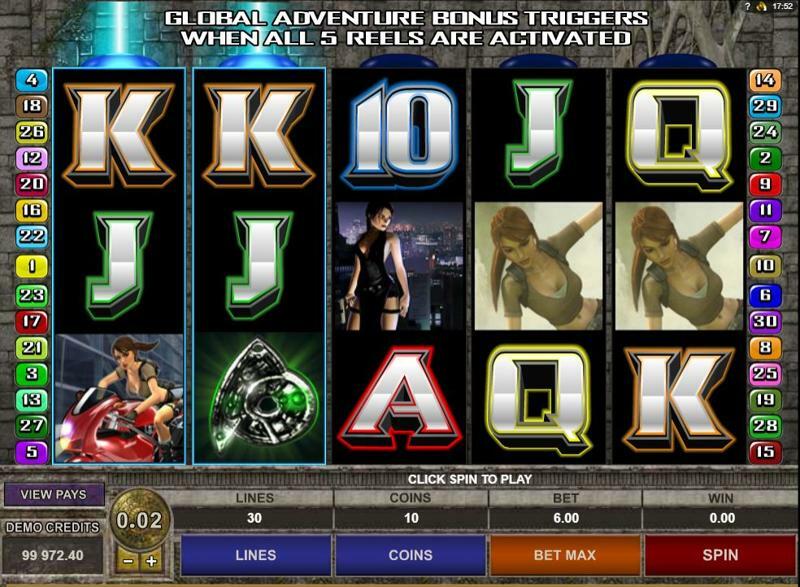 It was inevitable that there would be a range of spin-offs from the game and this slots game was the second of the Tomb Raider slots tie-ins. 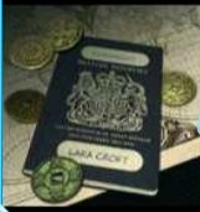 The wild symbol in the game is the Lara Croft symbol and this triggers the basic jackpot when there are five of them on a reel. Unsurprisingly, the Wild will not substitute for the freespins symbol or the passport symbol. This feature is triggered when a player picks up 3, 4 or 5 symbols of the Excalibur Key. 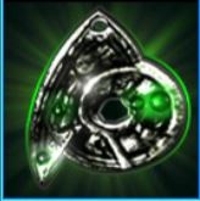 The reward for achieving this is 10 free spins and when a player creates a winning combination, the symbols explode, disappear and are replaced with new symbols taking their place. The multiplier increases by consecutive spins and it can run all the way up to 5 times. 2 more bonuses to look out for are triggered when a player obtains a passport symbol in the central position of a reel and begins the Global Adventure Bonus. This needs to be achieved on all 5 reels and the prize can reach up to 450 times the standard average bet. During the Hidden Sword Fragments bonus players need to select from a range of locations, including Tokyo, Ghana, Nepal, Bolivia and London. There are booby traps which can bring the round to an end but a player that manages to collect all of the sword fragments will receive a jackpot prize which is picked at random. This leads on to the Hidden Treasure Bonus which in turn grants access to the Shootout Bonus. The Hidden Treasure bonus could reward you with up to 70x your weighted average bet per location.